While most of us aren't qualified to resolve the wage debate, what we do know is that there are serious problems around health, safety and efficiency within the mining sector, as well as an extremely high staff turnover. 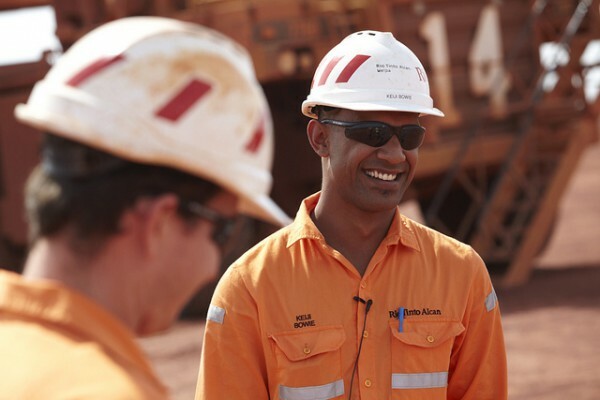 The mining industry invests an enormous amount of time and money on recruiting and training employees each year, which often means that they have to spend extended periods away from their workplace. Training employees can be a challenge within any industry, but it remains a vital component of a successful organisation, and the more engaging the subject matter, the more likely you are to see dramatic results from your employees. In the mining industry particularly, this equates to improved health, safety and production statistics. Mine workers spend most of their day in an extremely dangerous environment and, according to PWC, work-related injuries could lead to a halt in production, which can jeopardise the company’s licence to operate. The mining industry employs a large number of unskilled workers, who need to go through rigorous training before being allowed to work at their post. In an industry with a widely geographically distributed workforce, with varying education and literacy levels, maintaining training of a consistently high level is a vast logistical and economic challenge. E-learning solutions are becoming more popular within the mining industry, not only because it helps learners to retain the information, but it has also proven to be extremely cost-effective. E-learning helps mining companies to achieve their objectives in the training field by offering three vital cornerstones of any training programme, which is that they are measurable, sustainable and cost-effective. Programmes have been introduced into a number of SA mining companies already and they are able to answer the challenges faced by many within the mining industry, such as a diverse training audience, legislative criteria, version control, whether programmes can be readily updated, and whether efficiency can be measured. Literacy challenges can be addressed head-on by offering extremely high visual content, which is the primary source of information retention - courses can even be created using different spoken languages and even dialects. Modules can focus primarily on the safe usage and maintenance of heavy duty equipment used underground in hazardous conditions. These modules are able to show the user what parts of the machine to check on a daily basis, as well as examples of parts that are in good working order, compared to parts that are in poor working order and need to be repaired or replaced. The controls on the dashboard of the machine can be simulated and example videos can be shown in order to convey what each control or button does, and how the gauges reacted under different circumstances. In an age where knowledge is our most valuable asset, it is imperative that training takes place continuously. If courses are designed with all the right elements in mind from the outset, the whole process will be rewarding for each employee who undergoes training - which will eventually have the desired impact on wages too. Employees who feel like there is room for growth within an organisation are likely to stick around because they understand what their own needs are and also what is required of them.